Reeves is right. There IS something behind the wall! Yesterday Dr Nicholas Reeves described the data collected by the radar scans of Tutankhamun's tomb as "intriguing". But we were left wondering if that meant 'good' or 'bad'? In a press conference, fittingly held at Howard Carter's Rest House on Luxor's West Bank, the Minister of Antiquities, Dr. Mamdouh El-Damaty, made the big announcement. The radar scans of Tutankhamun's Burial Chamber have revealed that there is a large void behind what we now know is a false wall in Tutankhamun's Burial Chamber. What's behind? The number one candidate is a missing Queen: Nefertiti. The radar scans revealed that the transition from solid bedrock to masonry is stark. There is a straight, vertical line - the line that Nicholas Reeves first spotted earlier this year on high-definition scans of the tomb wall. It strongly suggests that the antechamber continues through the burial chamber as a corridor. Reeves believes that what looks like a solid, painted wall, is actually a ruse designed to foil tomb robbers. A number of other tombs in the Valley of the Kings used the same device. Tutankhamun's seems to be the only one that worked. The Minister of Antiquities suggests that the next step is to drill as small hole in the wall of the side room known as theTreasury. It adjoins the "void" behind the wall in the Burial Chamber, and, importantly, it has no painted decoration that could be damaged. If a camera reveals artefacts within the chamber behind the wall, then a tunnel starting from the Treasury might be the best bet. But for now, let's congratulate Dr. Nicholas Reeves for the results so far. He spotted something that ancient thieves, Howard Carter, and hundreds of scientists since missed - the outline of a hidden doorway in Tutankhamun's tomb. That's the word used to describe the results of the radar scans of Tutankhamun's tomb. But does that mean 'good' or 'bad'? Today we find out. A priestly procession carries Hathor's statue, rejuvenated by the sun. The National Democratic Party Headquarters burn in January 2011, right next to the Egyptian Museum in Cairo. Photo: Dan H.
Let's hope they do they do the right thing and return the land to the Egyptian Museum. For just a brief time, a healthy beard and moustache were the quintessential signs of manliness. Love cats? 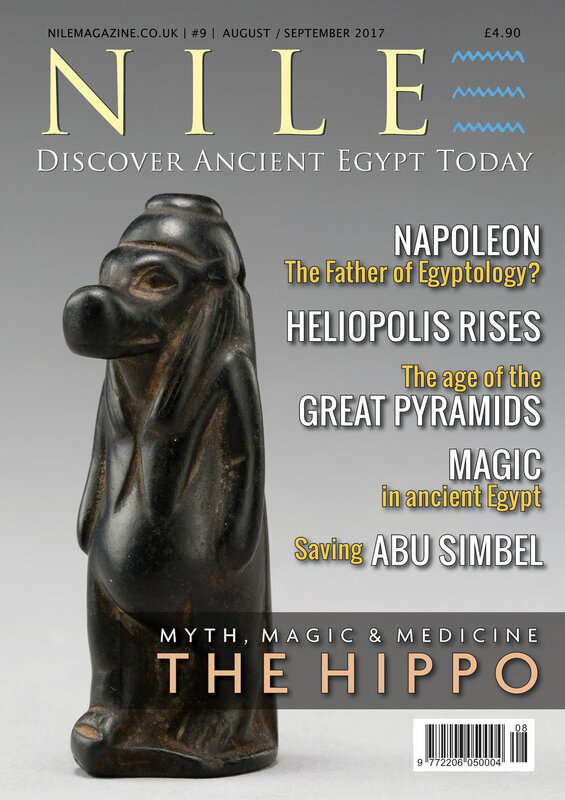 Love ancient Egypt? You'll love "Mummy Cat"; a book for young cat-lovers and budding Egyptologists alike. The early results from the infrared scans of Tutankhamun's tomb are in. 93 years ago today a step was discovered that would change Howard Carter's life. Did Ramesses II love his wife, Nefertari? What the king did - or rather, didn't do - for her tomb, suggests 'yes'.